There is no denying that much of my heart belongs in the state of Wisconsin, where I spent many summers of my life. So when Michigan loses a football game to Wisconsin, I may hate it, but I’m also weirdly more okay with it than I am with losing to just about any other team. But what does this have to do with food? Well, Wisconsin produced a fast food place called Culver’s, which is actually in Phoenix. 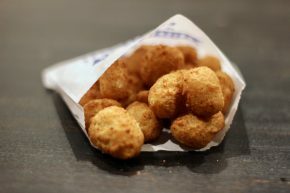 So afters years of not being in Wisconsin, I revisited the Scottsdale location of Culver’s to see if it could bring me back to my days in Wisconsin. Sometimes the world feels dominated by American chain restaurants. It seems that anywhere you go you can find McDonald’s, Burger King, Subway and KFC. Yet, we are not the only ones pushing our fast food abroad, as evidenced by MOS Burger. 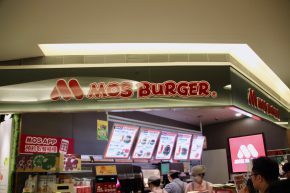 MOS Burger is a Japanese fast food burger spot that I was a pretty big fan of when I was living in Japan, and I was so happy to find that it is also available in Taiwan (as well as a number of other Asian countries, and even Australia) that I had to have some. Brio may be a chain, but it’s the kind of chain I can get behind. 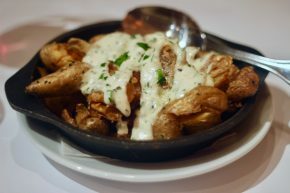 After all, steaks are a central component of the menu at the place. Of course, with an Tuscan theme it’s possible to get some light pasta or something else crazy, but I am a man who doesn’t generally turn down the opportunity for a steak. 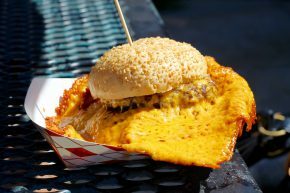 There are few places in the world (if any) that I have been fixating on visiting for as long as The Squeeze Inn. The trouble is that despite all of my years in California there is rarely a reason for anyone to visit Sacramento. This, by the way, is not meant to be a knock on Sac Town, but the State Capitol isn’t exactly a big draw. Finally, though, some random couple I know got married up there and I convinced them to invite me (solely so I could hit up The Squeeze Inn). People in Southern California if not obsessed with In-N-Out Burger, a pretty great fast food burger spot that can now be found throughout the American Southwest. Having lived here for many years, I can understand to a certain extent, but the utter rejection of objectively superior burgers will always boggle my mind. 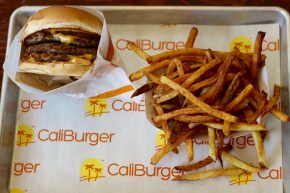 It is that world in which CaliBurger has decided to enter and it’s probably important to take note of CaliBurger’s history. Yard House is one of those places that, before entering, you can’t decide if you want to love or hate. On one hand, it has one of the biggest beer selections a bar can possibly have and bar food to go with it. On the other hand, it’s more than a little bro-ish. Yet, the first hand was the dominant hand and I entered the LA Live location hoping for the best. 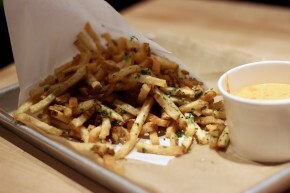 Once upon a time a place named Hopdoddy burst onto the scene in Texas. 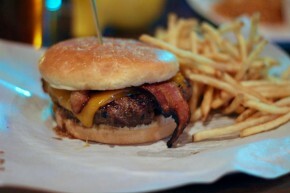 No one quite seems to understand the name, but they seem to like it because it has blazed a westward path of burgers, beers and fries ever since. Finally, it arrived in Playa Vista and I accompanied my buddy to try it out. With bits of real fire, so you know it’s good. According to Anthony Bourdain, firemen make some of the best food around because they have some sort of crazy camaraderie in which they are always cooking for each other. Maybe Firehouse Subs came from that. Or maybe it was because some firemen wanted to make some extra cash and thought it would be a good schtick. 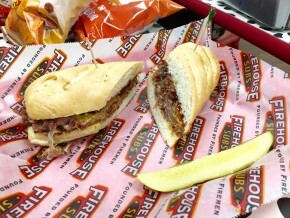 Either way, Firehouse Subs exists and I finally tried it out in the middle of Palm Desert. 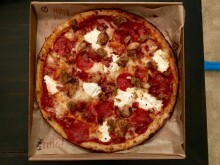 Once upon a time, a little place called 800 Degrees decided it could redefine fast-food pizza. Needless to say, it was a success. And that success inevitably led to copycats like Blaze Pizza. 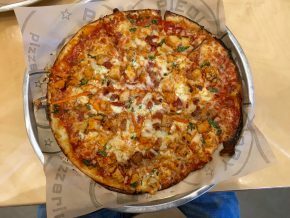 Surely this is not a bad thing in general because it will ultimately lead to better or more affordable food, but in the short-run I set out to see if Blaze could deliver (figuratively, of course).